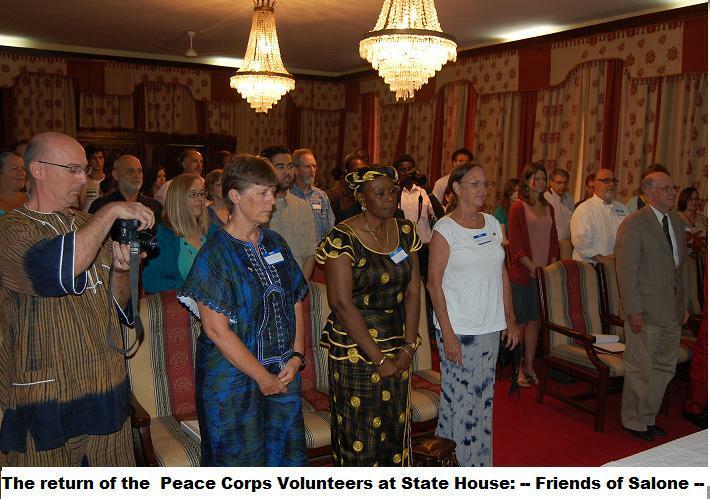 Peace Corps Online: 2011.07.21: July 21, 2011: Peace Corps Volunteers who served in Sierra Leone previously have returned to continue contributing to national Development as members of the Non- Government Organization, "Friends of Sierra Leone"
2011.07.21: July 21, 2011: Peace Corps Volunteers who served in Sierra Leone previously have returned to continue contributing to national Development as members of the Non- Government Organization, "Friends of Sierra Leone"
Peace Corps Online: Directory: Sierra Leone: Peace Corps Sierra Leone : Peace Corps Sierra Leone: Newest Stories: 2011.07.21: July 21, 2011: Peace Corps Volunteers who served in Sierra Leone previously have returned to continue contributing to national Development as members of the Non- Government Organization, "Friends of Sierra Leone"
Peace Corps Volunteers who served in Sierra Leone previously have returned to continue contributing to national Development as members of the Non- Government Organization, "Friends of Sierra Leone"
President Koroma referred to the American Peace Corps as not only Friends of Sierra Leone but Ambassadors capable of changing the perception of people out there. He added urged them to identify their areas of interest by what they have seen and found out for themselves. "You have all contributed to the development of this country, through your teachings and related activities, adding that he personally benefitted from the Peace Corps in his primary and secondary school education". 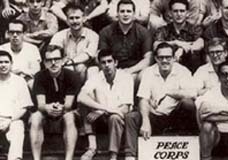 American Peace Corps Volunteers who served in Sierra Leone previously have returned to continue contributing to national Development as members of the Non- Government Organization, "Friends of Sierra Leone". At State House in Freetown, President of the Organization, Peggy Murrah told President Ernest Bai Koroma that "Since we left for home, we have singularly and collectively been thinking of Sierra Leone and now some of us are here with our parents" She informed. Responding, President Koroma referred to the American Peace Corps as not only Friends of Sierra Leone but Ambassadors capable of changing the perception of people out there. 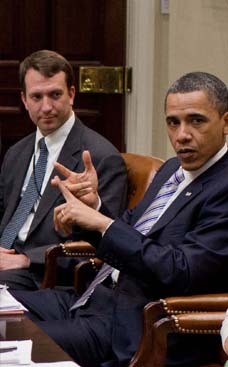 He added urged them to identify their areas of interest by what they have seen and found out for themselves. "You have all contributed to the development of this country, through your teachings and related activities, adding that he personally benefitted from the Peace Corps in his primary and secondary school education". The nation, President Koroma said has been through very difficult times, but now moving on gradually and steadily, but with the urgent need to put our country on a proper footing consistent with the Agenda for Change Programme which prioritizes Agriculture and Food Security, Energy and Water supply, Free Health Care and Urban and Rural Roads Infrastructure. He disclosed that "This nation has a huge potential and opportunities for investment and the Private Sector should be given the opportunity to take the lead in the development process"